Ann Morgan is new to the world podcast production and joins Graham Brown the founder of Asia Tech Podcast and myself in our latest conversation recorded in the Asia Tech Podcast studio for the Ask Me Anything Podcast, where we discuss podcasting with a focus on Ann’s questions as she navigates the world of podcasting from a complete beginner. Anne’s passion is growing as she develops her project and works out who and where her audience is, and with the launch phase approaching the excitement is increasing for us both all. Even though Anne has a non-technical background she has in our view comfortably reached the publish stage of her podcast production journey and constructed her website. After recording the podcast, the first thing, then what do you do? The editing and the process of making it live. Including music in the podcast, Royalty free or buy, outsource or commission starting out at a low price or even free and the pitfalls. Can someone not like your podcast because there is no music? Domain naming your podcast, How to choose and where do I put my podcast. Server, Soundcloud, Blubrry, Possible problems, Free, Paid options, stepped options. Audio file hosting. Taking the paid option with SoundCloud, Blubrry or the free one stop option for example with Anchor which is free, but has the potential pitfall of who owns the content. Publishing on Sound Cloud and iTunes followed by how do you attract an audience and who to hustle and how. The confusion of subscribe and how to overcome it. Should you launch 1, 3 or more podcasts, publish regularly or irregularly? The effect on media of noise in the content world and the need to hustle. The importance of producing something that is good, but remember it has to appeal to a specific audience that is interested. How to make it easy for your friends and guests to share the podcast with the example of a ATP’s live card. The challenge that appears after recording: the editing. Preparing for the conversation it helps with editing. How to decide when to stop the editing process. What to do with Ums and Ahs. The issue and what if a solution is not found stated by John from Cheng Yew Heng Candy Factory. This conversation was part 2 of a four part series published on the AsiaTech Podcast platform where I am also a guest host. Aaron: States the benefit of SinFooTech being part of the Innovate 360 initiative to develop new startups that develop new foods. Aaron: The creation of a new Soya alcoholic named Sachi from soya waste. Aaron: Overcoming the biases associated with using waste to produce new forms of food, which are nutritious and tasty. John: How he through Innovate360 will use the new factory facilities to be the foundation of taking new foods from the laboratory to commercial production as a one-stop-shop solution for startups who are looking to scale-up. John: The depth of the food startup industry in Singapore, which includes six startups at Innovate 360 since May this year and recognition as an incubator in Singapore that can support startups with funding from the government grants through Innovate360. John: Innovate360 working with startups in nutrition (Eatobe) and clean meat (Shiok Meats). John: The opportunity for corporates to see how they can innovate and disrupt their own businesses. Bring about change and hopefully do something that can impact positively future generations. 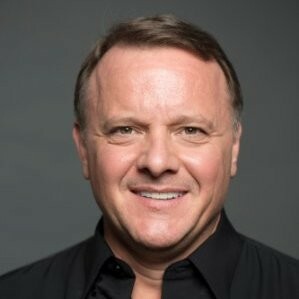 Glenn van Zutphen is the founder of VanMedia Group a company he founded over twelve years ago and based on his knowledge of over twenty-five years as an international journalist. The mission he chose is to guide thought leaders to significantly shape their organisation and industry by creating and communicating provocative & memorable messages across digital and traditional channels for news media interviews, conferences, and TED Talks. Now due to the rise of social media and the rise of social selling the need for entrepreneurs to get to grips with what is happening is on the rise. Literally anybody can buy these days with just a few hundred dollars, maybe a little bit more depending on the type of gear you get, and then put together a podcast like this or any kind of a news story and upload it whether it’s on your own website or on Stitcher or on any number of podcast hosting sites. In comparison in the past being an entrepreneur or business executive was a lot simpler and easier. Now the ability to communicate credibly both personally and professionally is exponentially increasing as social selling becomes more demanding. Generally speaking, executives don’t like to see themselves on TV, or hear themselves on the radio, or they don’t really like this idea of exposing themselves externally to whatever… whatever audience it is. So from that perspective there was a bit of hesitation on most peoples… you know the reaction. In this conversation, which was recorded at the 1880 Members Club in Singapore we get a brief insight into the thoughts of one of the top media professional in Asia. Virginia Cha and Petrina Lim discuss Feed Camp 2018. 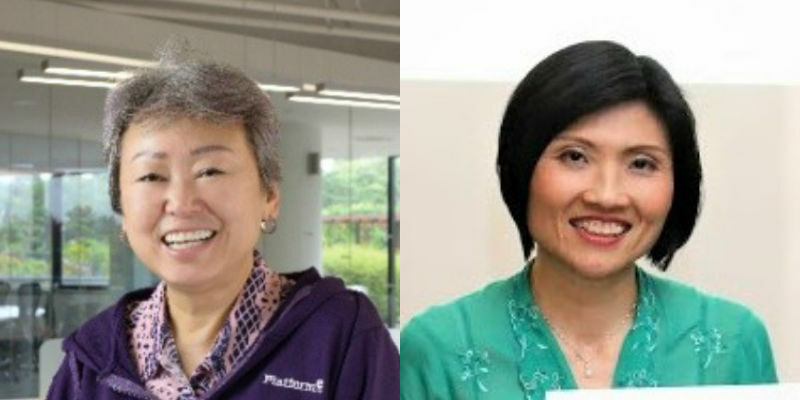 Virginia Cha, professor-in-residence at Platform E and Petrina Lim, Head for the Centre for Applied Nutrition at Temasek Polytechnic. Feed Camp 2018 is an initiative orgainsed at PlatformE in which Virginia and Petrina are key participants. The issue as thought out by Virginia. This conversation is part 1 of a four part series published on the AsiaTech Podcast platform where I am now a guest host. A look at innovation and entrepreneurship in the food industry. Feed camp 2018 the first step to make Singapore the food start-up. The need for a paradigm shift in food production in the way food is delivered, made, and the way waste is dealt with. The different types of collaboration international and domestic. The benefits Feed Camp 2018 will bring to create an ecosystem at Platform E.
The Feed Camp / Boot Camp held on a Thursday night, Friday night and all day Saturday to bring new concepts of food and the experience. What Hershey recent acquisition of pirate brands means to the food industry. Feed camp 2018 idea for conceptual prototypes and people in the food science space meet the needs of an increase of vegetarians in Asia by 140% and the interest in China. Patrina’s passion as a nutritionist and food scientist to see the creation new food from inception to the shelf to satisfy the future needs of people and solve the major food issues. Patrina’s participation in a recent conference on food with industry partners manufacturers, restaurateurs that examined potential new food sources. Who is involved in making new plant-protein based foods tasty and where demand is coming from and the effects on the food industry. Local examples of Singaporean startups that are leading the way. The NDA that stops the mention of the major food company that will attend to find out what are the innovations and experience what is happening. Patrina’s experience of working with large companies verses startups, where each excels and are there any preferences. Find out the importance that Platform E and Singapore places on food innovation and the plans for April 2019. The qualifications that Singapore; the abundance of F&B outlets, described as foodie nation and a trusted brand. How a future motivated Singapore involved in the food production with Government support with provide new initiatives in food. Platform E, Temasek Polytechnic, Innovate360 and Focustech Ventures. Jeroen van Overbeek is the founder of Social Impakt a social impact enterprise. Previously he spent over twenty years working in manufacturing in Europe and Asia. He then decided he wanted to change track and switch to making a social impact. The mission he chose was to bring clean water to South East Asia specifically Bali in Indonesia. Being an entrepreneur in normal times is difficult enough but in an environment where nature is unforgiving the stresses are greater. In this conversation we get a brief insight into the world of the social entrepreneur at the sharp edge where nature is unforgiving. The journey to Bali to become a social entrepreneur starting from a career and experience in general management in manufacturing, food, pharma, selling products B2B internationally leading to a final role handling 3.5 million and overseeing a thousand people. The emotions and challenges of going from corporate to social impact from a regular salary to no salary and the challenge of living off savings with the goal of reducing the mortality rate of children by providing clean water. And so to Indonesia where finding the right, safe, affordable product with local production facilities that provide an effective clean water solution to the people of Indonesia was important. The benefits of attending the Social Enterprise World Forum in Edinburgh, Scotland with 1500 hundred other social entrepreneurs enabling Jeroen to make connections, exchange ideas, and gain happiness with the knowledge that the social impact community is doing good work all over the world. Witnessing corporates and social enterprises working together to expand the social impact ecosystem though procurement through a diverse community of delegates from all over the world interested in developing the social enterprise ecosystem. Including innovative initiatives at getting marginalised people and ex-prisoners back into the workforce. The event helped to overcome the loneliness of being a social impact entrepreneur that specifically offered the opportunity for future cooperation and collaborations with like minded entrepreneurs working on clean water provision in the future. Facing the practical reality of frequent recent disasters in the region. The first being the eruption of Mount Agung, which saw his company supply 1200 units in a three month period, the second the Lombok earthquake in August and then the third and most recent Tsunami in Sulawesi. Working-out the cost of supplying the product during a disaster with balancing being a for profit company with social entrepreneur that tackles environmental social problems of access to clean water which require that company costs are covered. Compounded by a personal responsibility to reduce margins further and to supply with the help of donations. Sourcing donations from private people, organisations, friends, family and crowd funding pages. At this stage selling the filters for four and a half years a typical day before the disasters consisted of the proof of concept phase by making sure the product could be accepted, used and paid for by people living in Karangasem one of the poorest remote areas in Bali. This was achieved with a local colleague for two years by meeting with the heads of the villages, the woman of the villages and others and others to introduce and sell the product. The process of education of the local population about what the product is, how it works, and to trust it is safe and was achieved by meeting with the influencers, which included Hindu religious leaders and eventually provided income for a local network of 30-35 women resellers. The expansion into southern Bali, which had a greater population in towns and cities for example Denpasar and Ubud and the effect of recent disaster on Jeroen and the business leading to the need to set up a new team of 5 volunteers, a new storage in Mataram in Lombok with volunteers. And realising that the operations and storage was the main challenge taking about one week. Mention of a planned visit to Lombok to check on what’s going on in the camps, monitor the filters and how they are being used. Learning that the success of the operation is built on setting up a system that provides who wants, who can, who has paid for the filters, who can pick it up, where the filters are going and tracking where they are. Understanding the cost of being a one man operation on a physical and personal level comes in the form of your own life, time but this a choice that is consciously made and requires the discipline to try to get more sleep, keep as fit as you can in spite of the conditions. While a the same time meeting the incredible feat to scale the business thirty times in a period of two weeks. The toll on physical health that it takes as well as the required effort to get sleep also requires not to work too hard and also to keep the weekend free and to continue personal physical activities like running and a passion for dancing. The ease in the ramping up of production was enabled by Nazava, a ten year old company’s experience of previous disasters. Nazava met the challenge of drastically increased demand in a matter of days and produced a pleasure that working with the supplier that is ready to support and meet the demand for the product when disaster strikes. Local government or Government support is vital when disasters strike and while Jeroen and Social Impakt carry out work with the support of public and private donations government help coming in the form infrastructure by getting water to the camps is critical step. 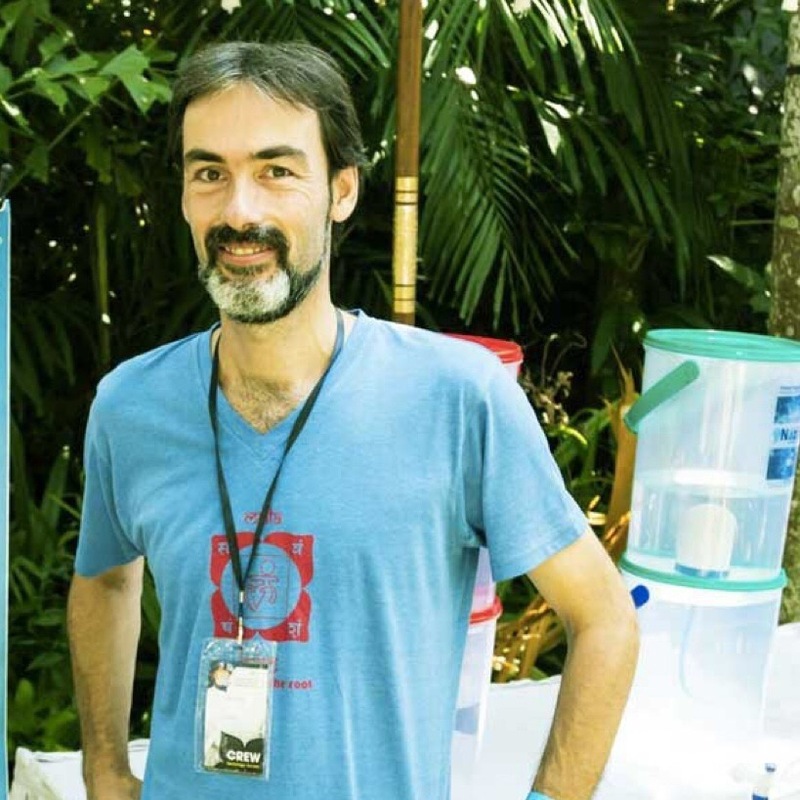 In the case of the most recent disaster in Sulawesi Jeroen and Social Impakt may be working with the Health Department and are currently looking at options to provide a valuable service. 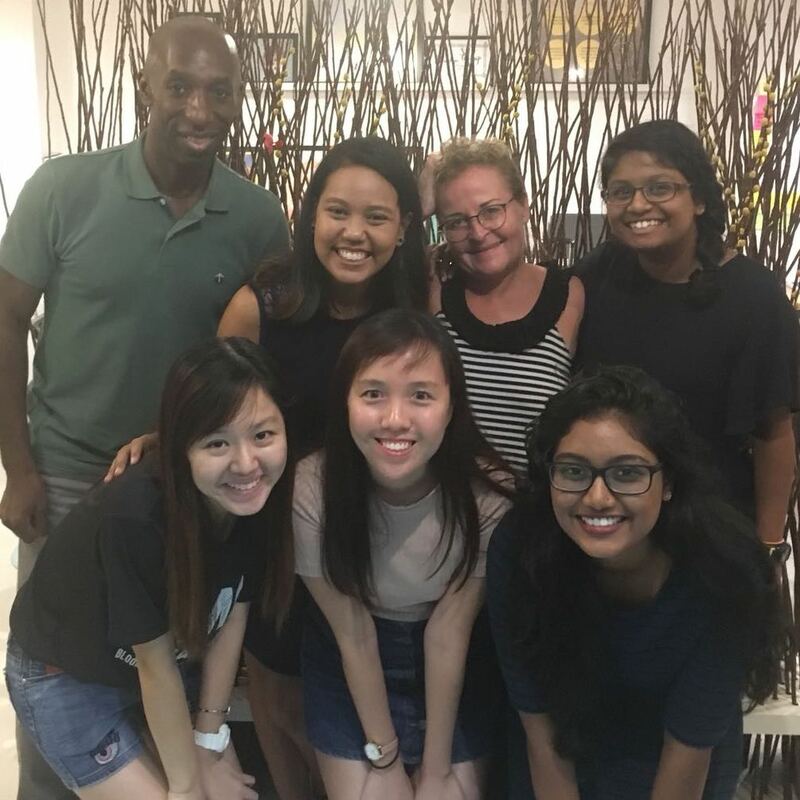 Muriel Boutin-Becuwe, was an entrepreneur I met a few months after I arrived in Singapore in October, 2016, you can listen to our conversation in episode EIA 032 where she discussed her start-up, which was focused on environmental sustainability and social impact. Recently Muriel has become involved with a not-for-profit organisation The Young Professionals’ Group (YPG). In this episode Muriel will describe what YPG offers young people. You will also hear from six participants just starting out on the YPG mentorship programme. So now without further delay let’s begin. Craig DeLarge is a digital healthcare executive in the Pharma Industry. In a career that spans over thirty years. 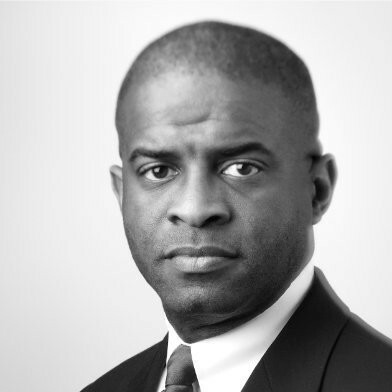 His focus has developed into challenging leadership roles that have advanced digital health outcomes globally. From his base in the USA specific projects included digital mental health, digital healthcare strategy development education & advisory and change leadership strategy consulting & coaching. He knows what it takes to make an organisation change when it faces a crises. Three years ago he moved to Singapore to support clients & stakeholders navigate the emerging digital healthcare ecosystem and develop the capacity to lead in ambiguous change scenarios. He describes himself as an intrepreneur. This is our first meeting. Our conversation takes place just a few days before his return to the USA, in his bare bones apartment. A reflection on move which is about to see him start a Master of Public Health in Global Mental Health, a family reunion, and the next phase of Craigs passion project and the change from Intrepreneur to Entrepreneur “The Digital Mental Health Project”. During our conversation Craig reveals the motivations behind his career choices and how he sees the potential benefits that digital technology can bring to the field of mental health. His origins as a regional hybrid from the southern United States before moving to north-east and Philadelphia. His initial career choice and the reason for switch to the Pharma industry. His memory of going to his VP who advised him that his career choice was going to ruin his career. The role love and novelty in his career replaced burning out. The nature of the digital cycle of adoption in the Pharma industry and how this led to him become a serial intrapreneur. 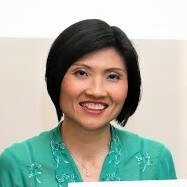 The last three years in Singapore working as the head of the digital accelerator for for Takeda Pharmaceutical. Similarities and differences between the roles of intrapreneur and entrepreneur. The forces working against the intrapreneur in an organisation and the reasons. Well know failures that did not capitalise on their own R&D innovations. The point when an organisation recognises a crises, before during and after. The thing that makes an organisation successful is also the thing that can make it fail. Solutions that reduce the possibility of organisations from failing. So why don’t most companies do that. The 3M model is well known. I know about it. Employees that see a crisis coming and what should you do. The Fortune 500 today is not the same as a decade ago. How the switch to a career based on love of being a designer.began with an MBA at University of Westminister to connect the intrapreneur, and innovator within to design management. How “nudge” is helping healthcare is get human beings to take better care of their health. The sabbatical that led to linking being an entrepreneur in the pharma industry to his mental health advocacy for the creation of the Digital Mental Health Project. Future benefits that digital technology will bring to improve mental health. How in the future mobile digital devices can move from damaging mental health to improving it. How Silicon Valley is recognising the negative mental toll that the pressure, and the loneliness and the drivenness of tech entrepreneurship is having on its workers. The symptoms to look out for with your own mental health and what mistaken beliefs exist when the psyche breaks and the stigma surrounding it. Craigs hope for the support, in the future, that will be available at university and for 18 and 25 year olds, which is the point in life. When to start taking care of your mental health and who to start with and the challenge. The importance to remember, the advantages we have today in society are because somebody in the past stepped out of line and began to challenge the status quo and how we can create the same for someone in the future. Finally he tells us about his family and the number one motivation for leaving Singapore and how it fits into the plan.